Quality products - the choice of professionals - available to you. Personal care products are available from many sources, but the best quality products are those carried at professional establishments like mine. Don't be fooled by imitations and imposters. 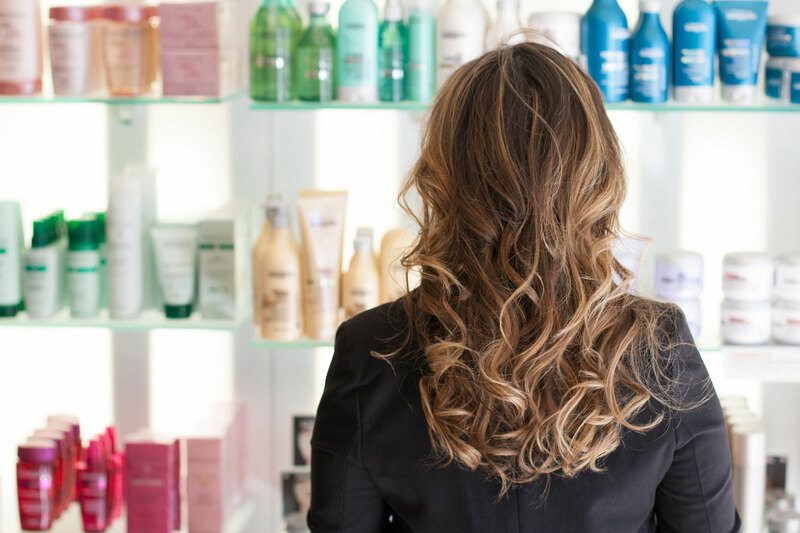 To ensure you receive a consistent, exceptional quality product, be sure to purchase your goods from authorized salon professionals. Experience the difference by using the fine products I use everyday and made available for our client's to purchase. I can recommend just the right product to meet your needs. How It All Began It was movie magic that launched a famous beauty trend. In 1916, legendary movie director, D.W. Griffith wanted Seena Owen, the leading lady of his epic movie, "Intolerance," to have glamorous lashes so long they would gracefully touch her cheeks when she fluttered her eyes or looked down thoughtfully. A wig maker wove human hair through fine gauze and gummed them to Owen's eyelids creating the very first set of false eyelashes. Needless to say, women wanted the same movie star lashes and a trend was born. In 1971, Arnold and Sydell Miller founded what is now one of the world’s best selling faux lash brands. The original ARDELL lashes, Duralash Individuals, were created to add realistic, volume and length to lashes, enhancing but not overpowering natural beauty. ARDELL lashes, the name, a blend of Arnold and Sydell, quickly grew in popularity, prompting the brand to add additional styles such as the signature Wispies, 105s and 101s, but staying true to its mission of giving women beautiful, unforgettable eyes. In the decades following the introduction of the very first ARDELL lashes, the brand earned its title as one of the most widely recognized names in faux lashes by catering not just to women looking to enhance their own beauty, but also to legions of beauty professionals and Hollywood makeup artists. The comfort and affordability of ARDELL lashes makes them a small luxury that elevates beauty to another level. Makeup artists will agree that a Red Carpet look is not complete without a pair of lashes to accentuate the eyes and add glamour. Today, ARDELL offers an extensive lash collection with more than 125 different styles to suit every woman, every event and every lifestyle. Avlon Industries, Inc. is currently responsible for many of the most widely-used and efficacious hair care products on the market, including the well-known Affirm professional relaxer system, FiberGuard Conditioning Relaxer System, Ferm permanent wave products, MoisturColor professional hair color products and KeraCare Conditioning Hair Care System, a range of maintenance & styling products that professional stylists and consumers love. BaByliss is renowned throughout Europe as the Professional's choice for hair and personal care appliances. Each range is carefully tailored to the specific needs of different markets and BaByliss has spent the last 35 years working with leading hairdressers to research and develop appliances which enable both professionals and consumers to achieve perfect results both in the salon and at home. 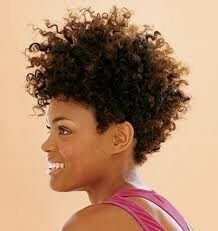 Your curls are built upon a delicate system of moisture-oil balance in the hair. It is a good practice to oil the hair and scalp weekly with an oil such as Soft Sheen Hair and Scalp Conditioner or Keratin Hair Food Conditioner. Soft Sheen Replenishes moisture, and elasticity. It restores, dry, damaged & chemically treated hair and soothes, nourishes, invigorates it! Far Infra Red - Far Infra red is produced from CHI 44 ceramic in all CHI products and tools giving the user amazing performance with every product. CHI Products and tools penetrate deeper into the hair and the results speak for themselves. FAR Infrared is the longest frequency of the infrared spectrum; it is invisible to human eyes. Far-infrared frequency can penetrate up to 1.5 inches (4 cm) inside of the skin as well as inside of the hair. Far Infrared is drying the hair from inside out due to its ionic charge and colors are penetrating deeper. Far Infrared is heating up objects (hair/brush) not just the air. The recent studies have also shown that it can increase the blood circulation and metabolism. It can also help to maintain our general health. Meet the #1 brand of styling tools in the professional beauty industry - Hot Tools. #1-selling Hot ToolsÂ® Curling Irons were the first irons in the industry to use an electronic heating system for fast heat up and heat restoration. This patented Pulse Auto Heat ControlÂ® provides the user an iron that keeps its heat so stylists can work quickly and with consistent curl results. Our Specialty Irons include 13 models provide stylists with the right tool to create the wide variety of special curl types popular in today's hair fashions The Hot ToolsÂ® line of Hair Dryers includes 28 AC and DC motor products as well as Hard Bonnet and Soft Bonnet models and 2 Hot Air Brushes. Red Hots styling tools create heat with high intensity halogen bulbs and actually light up when used and includes a dryer, hot air brush and 3 curling irons. A world-renowned team of Nioxin researchers have developed the most advanced, natural based system to improve the appearance of fine and thinning hair - NioxinÂ® Bionutrient Formulationsâ„¢. Each product is designed to create and maintain an optimum scalp environment in order to address the problems associated with thin-looking hair. PRAVANA is proud to unveil a unique collection of highly sophisticated and professional products paired with enlightening education to guide you in your evolution of beauty. Even the name PRAVANA has an ancient Sanskrit meaning of "the source of all things." It all begins within ourselves. PRAVANA products are a unique hybrid of European artistry, ancient Mayan natural botanicals and innovative American technology. The end result... a global fusion of excellence. Like any quality polish application, the Shellac system features a Base Coat, Color Coat and Top Coat. Together with a UV Lamp, they comprise the breakthrough in resilient color that remains flawless for two weeks and removes in 10 minutes. Art of Beauty was founded in 1986 by Zoya and Michael Reyzis. They had a shared vision, which evolved from a small nail salon into a spa focusing on natural nails, skin care and alternative European herbal treatments. Today, the company has grown to become a manufacturer of the most innovative professional beauty products ever created. Our brands include Zoya, Qtica, Smart Spa and Zoom. Zoya, originally a classical pianist in Russia, earned her Cosmetology license in 1979 when she and her husband Michael immigrated to the United States. While pianist jobs were limited, the world of cosmetology offered a new profession and a means by which to build a new career. Through Zoya’s hard work, and a demand for quality and healthy, natural ingredients for her clients, it became evident that there was a need for the perfect products. Responding to his wife’s requests. Michael, an advanced chemist, developed and patented unique products such as anti-wrinkle treatments and shampoo and conditioning treatments for the salon & spa. He also created the first working fast drying topcoat and the longest wearing, toxin free natural nail polish, revolutionizing the nail industry. Today, Zoya, Michael and everyone at Art of Beauty focus on creating the highest quality products available to professional salons and spas. Through brands like ZOYA Nail Lacquers, QTICA Treatments and QTICA SMART SPA, Art of Beauty offers salons and spas superior quality, convenience and incredible value. As the first to remove toxic ingredients such as toluene, camphor, formaldehyde, formaldehyde resin and DBP (dibutyl phthalate) from its formulations, Art of Beauty maintains its focus on the health and well being of salons, spas and consumers. ISO PROFESSIONAL HAIR CARE Hair care personally conceived, developed and formulated without compromise by Iso. The precise action of each individual product respects the natural integrity of hair and eliminates any and all possible problems that could get in the way of the creative process. ISO stands for Innovated Styling products. This revolutionary haircare product utilizes tri-active technology to positively activate natural proteins, vitamins, and moisturizers to penetrate deeper and remain active longer, restoring hair to it's healthiest state. We started by finding two of the world’s leading PHD’s in Materials and Chemistry that had never worked on hair products before, Dr. Eric Pressly and Dr. Craig Hawker. With this fresh outlook, this dream team invented a single ingredient chemistry, that is free of silicone or oils, that links broken bonds in the hair during and after chemical services making them stronger than they were before. It may all sound like the same old mumbo jumbo, but check out what top colorists are saying about Olaplex all over social media. As they say, the proof is in the pudding. In Swahili, the word MIZANI means balance, and from this single word came the inspiration for MIZANI products - superior, salon-exclusive hair care products created for curly hair. Each MIZANI formula, whether used alone or in combination, gently works to balance the forces of beauty and chemistry, ultimately creating radiantly healthy hair. The MIZANI® Cleansing and Conditioning System works to Let you bring your hair into balance by combining the exact amounts of moisture and protein. Dryness, brittleness and breakage are eliminated from all hair types as MIZANI® restores what nature intended - wonderfully healthy hair. What a great way to show your mom that you appreciate her timeless beauty with a fabulous hand-picked salon gift package! Select the hair care and styling products she needs and we will include a gift voucher for $5 off her next purchase at the salon. Give her the professional quality products she deserves and she'll remember your thoughtful gift again when it's time for a refill! Note: Mention this offer at check out. Some restrictions apply. Excludes but not limited to trial/pocket sizes, clearance and discontinued products. ATIKA Styles, Inc. reserves the right to modify, cancel and refuse promotion. No minimal purchase necessary. Have hair loss(hair thinning)? Then do something about it. At ATIKA Styles Beauty Salon the goal is to promote hair growth. Nioxin and Pravana helps to do just that. By providing a healthy scalp environment for better growing power and improve blood circulation which is crucial for maintaining active follicles. 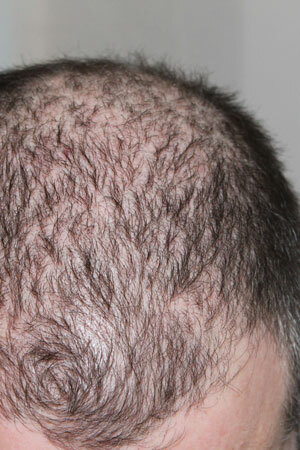 If you are experiencing hair loss or hair thinning and want more hair density, then schedule your appointment today. Also ask about FAST Track to Beautiful Hair. © 2019 ATIKA Styles Beauty Salon, All Rights Reserved.